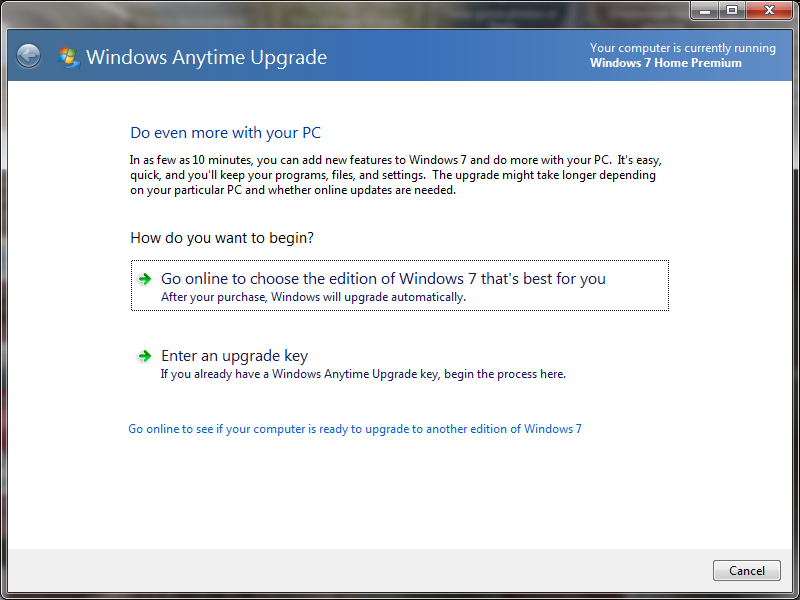 So I have Windows 7 Home Premium on my laptop. I'd like to upgrade to Ultimate for BitLocker. Before doing so, it's a good idea to record the product key for your current edition of Windows, in case you ever want to roll-back. I used ProduKey, exported the report as HTML, and printed it. Checked the Windows lifecycle fact sheet and found that Windows 7 will be in extended support until 1/14/2020. For reference, here's a list of Windows 7 Upgrade Paths.